Achieve Lasting Changes In Your Habits, Behavior And Life With The Remarkable Power of Subliminal Affirmations! Summit Subliminals™ audio recordings are designed for use while driving, walking, cooking, or just relaxing, as a tool to create powerful and lasting change in your life. Each CD set has awesome affirmations taken directly from the matching Laura King Hypnosis Series, created and recorded by renowned Certified Hypnotherapist, NLP and Life Coach, Laura King. Summit Subliminals™ are recorded using our subliminal audio technology, and all you will consciously hear is soothing music. The subliminal affirmations play outside of your conscious hearing range and powerfully penetrate into your subconscious mind. Laura has worked diligently to create over 150 powerful self-hypnosis products covering subjects from Health and Wellness to Sports, like her Equestrian series and Golfing series. Her personal clients listen to these CDs between sessions, and thousands of others around the world have purchased Laura’s self-hypnosis CDs to create powerful changes in their lives. Self-hypnosis requires one to stop everything and take 20-30 minutes to listen and relax. Many of Laura’s clients asked for something they can play while driving their cars, at work or anywhere else you might listen to music. Summit Subliminals™ is the answer. 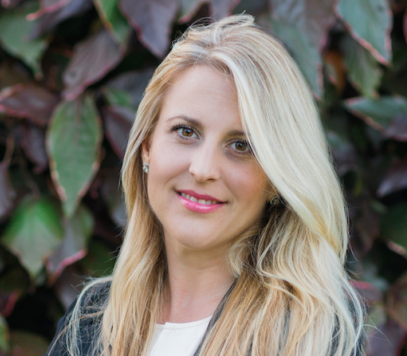 With Laura’s knowledge of how the brain functions, she realized that while subliminal affirmations are a potent way to take her clients to the next level, she needed to offer more. So with each set you will also receive a conscious level audio recording of the affirmations spoken audibly over soothing music. Listening to Laura King’s audible positive affirmations repeat like a mantra will act on your conscious mind as well as your subconscious, allowing you to more readily adopt these new thoughts as your own; and, unlike our self-hypnosis recordings, you can listen anytime – even while driving! With two ways to listen, Summit Subliminals™ Conscious Level Audible Affirmations and Summit Subliminals™ Subliminal Level Affirmations, your change will happen quickly on multiple levels. The key is to listen as often and as long as you are able, and alternate occasionally between the two CDs – especially while driving. Most people don’t realize that driving often creates a mild form of hypnosis. Laura teaches her clients this, and explains that we must carefully choose what we listen to while driving because it penetrates the subconscious without our knowledge. While listening to sad songs can make you sad and depressed, listening to angry songs while you drive might make you drive more aggressively. 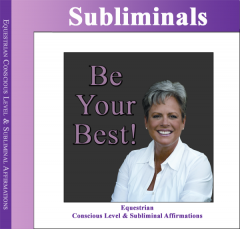 Driving is the perfect time to feed your conscious and subconscious mind positive, uplifting and life-changing affirmations with Summit Subliminals™. Although Summit Subliminals™ may be used by as a standalone method for creating powerful change, we recommend listening to Summit Subliminals™ alongside the matching Laura King Hypnosis Self-Hypnosis CDs to allow for even more rapid changes in your thinking patterns. Let us help you achieve the lasting changes you want! Make Summit Subliminals™ the soundtrack to your life! Click here for a full produce list.